Judging from the amount of rumors and leaks about Samsung's upcoming Galaxy S10 lineup, it will be safe to say that it's shaping up to be one of the most exciting Android releases in years. A large portion of this can be attributed to the rumored full-screen design that doesn't resort to a notch but puts both the selfie camera and the fingerprint scanner right beneath the display itself. Being a budget device, the Galaxy S10 Lite (no confirmation it will be called that) wouldn't feature an in-display fingerprint scanner. Instead, a fingerprint scanner positioned in the power button on the side. 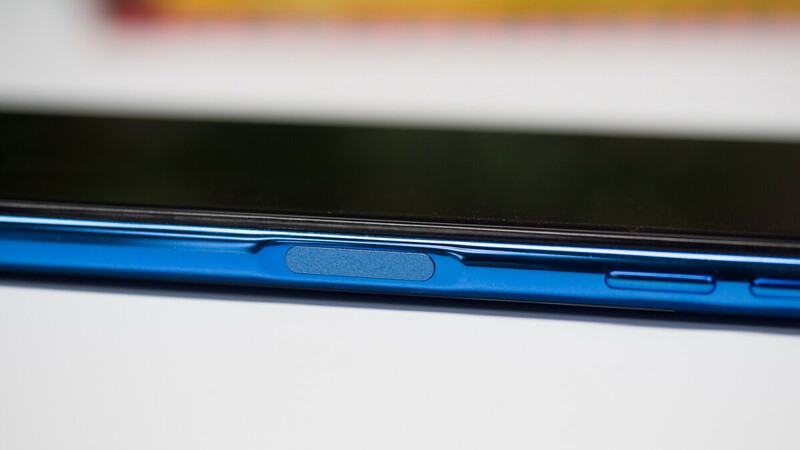 Samsung has already debuted a device with such a hardware setup, namely the Galaxy A7 (2018) which we recently reviewed. This rumors comes from Twitter user @BenGeskin who is popular for his design mockups and renders, but also occasionally dabs into leaks as well. Judging from all the rumors we've heard about the budget Galaxy, this rumor sounds totally plausible as far as Samsung's cost-cutting possibilities are considered. To get the full picture pertaining to the Galaxy S10 lineup, check out our rumor review right below. Much better than the rear-positioned sensor. I have my phone every day for its rear sensor. Rear is fine for in hand, but abysmal for setting your phone on a desk or a qi charger. I want front, it's a large portion of why I still have an S7, but side is acceptable. I don't have have that issue when it's sitting on a desk, I just pick my phone up...who actually tries to use their phone while on a wireless charger?